How do Neurologists and Neurosurgeons study the brain? There are many functional systems in our brain, and thus there are many methods used to understand how love works in the brain. No single method can study everything we need to know about the brain in love, so we typically use multiple methods, each one telling us a different aspect of our brain function. Why do I believe that functional MRIs are of highly questionable value in studying love? Why do I believe that functional Magnetic Resonance Imaging is of highly questionable value in studying love? 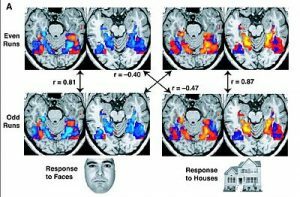 The scientific community started questioning fMRI soon after its inception in 1990, and this has peaked in 2016. First, we will look at a summary of the scandal about fMRI. Next blogs, we will analyze the basic concepts behind fMRI and see why these concepts are questioned by many in the scientific community.